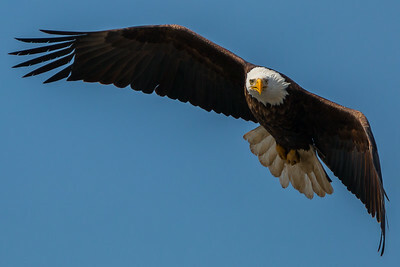 Bald Eagle at Ellis Park, Cedar Rapids, IA. 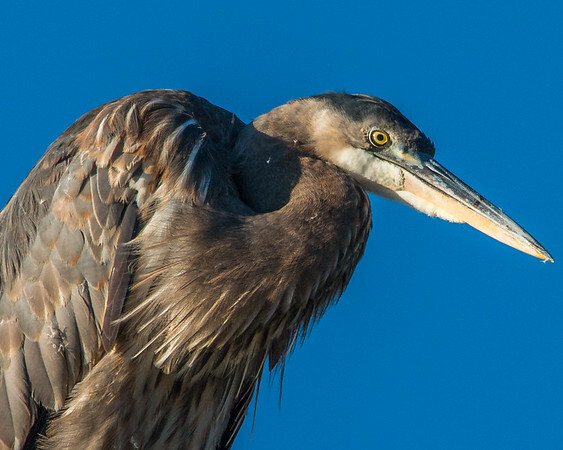 This Great Blue Heron was one of two that frequented Ellis Park in Cedar Rapids, IA in 2016. 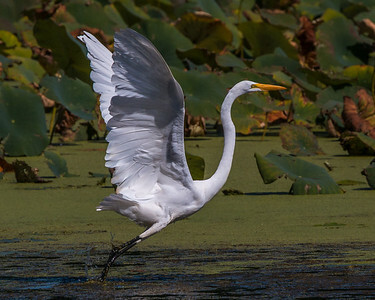 I followed this White Egret around for quite a while. 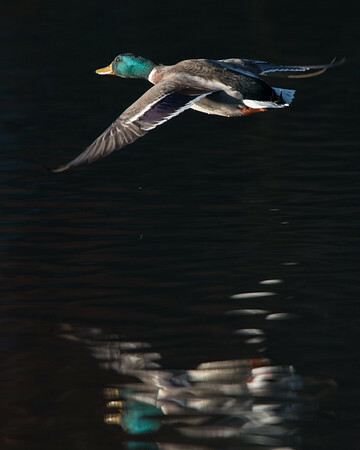 This time he flew toward the morning sun, and his feathers cast some great shadows to capture high contrast detail. 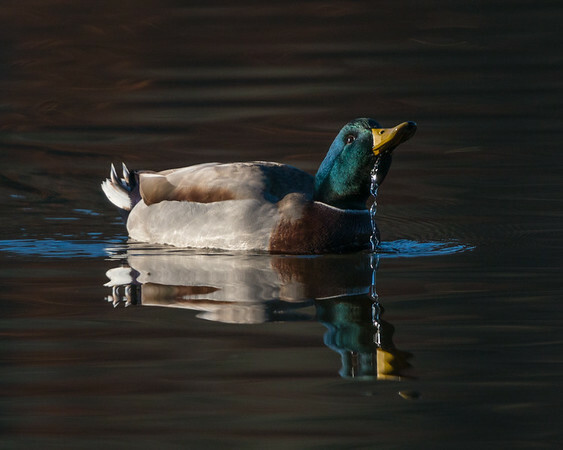 I love how their white wings pick up water reflections adding another point of interest. 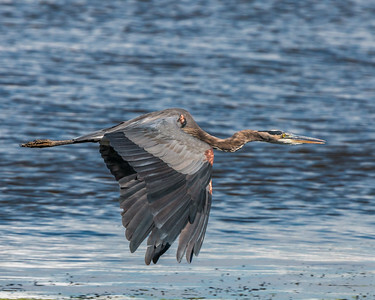 We saw this Great Blue Heron take his dive, and amazingly came up with two nearly identical fish. 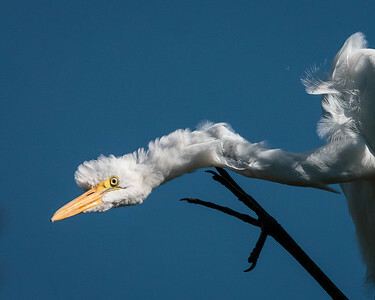 This White Egret is scratching where it itches. 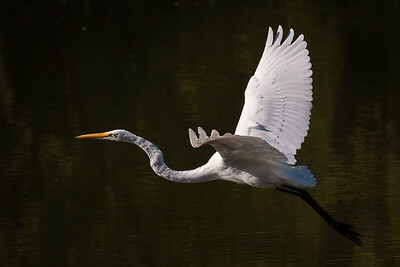 I like capturing the Great Egret just as it takes off. 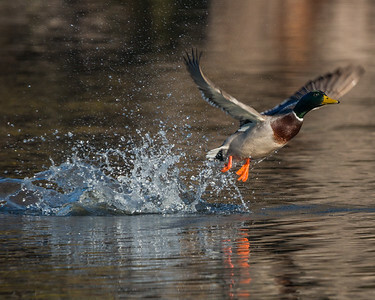 They take flight on short runs of 50m-100m, making for fun photo opportunities. 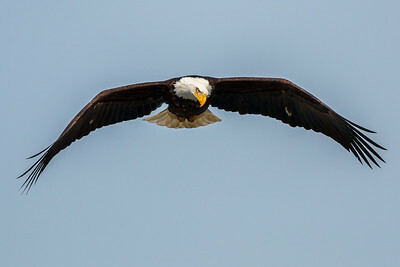 Bald Eagle show in the afternoon in Coralville, IA. 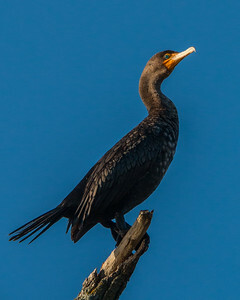 Cormorant sunning in an early morning blue sky. 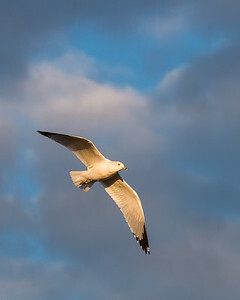 Ellis Park, Cedar Rapids, IA. 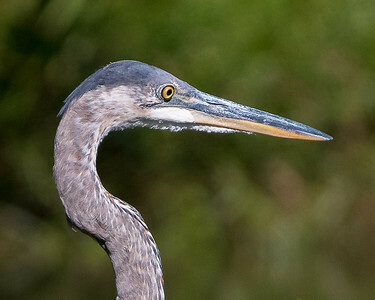 I have seen many blue herons striking this pose, tilting their head into the sun. 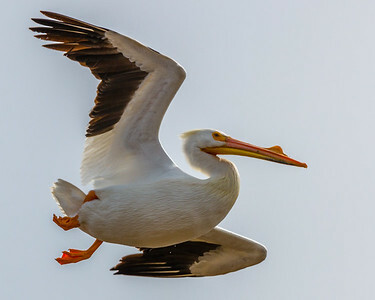 For a unique pose, check out the one on this page standing "spread eagle" sunning himself. 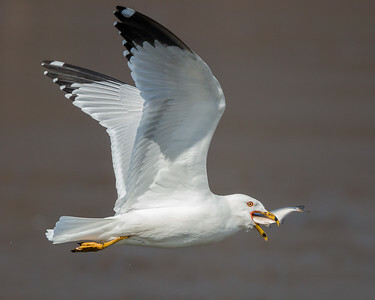 Ring-billed Gull with swallowing a fish. 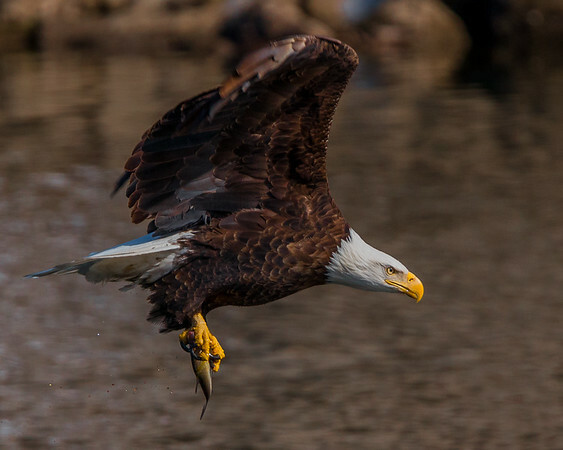 Ellis Park, Cedar Rapids, IA. 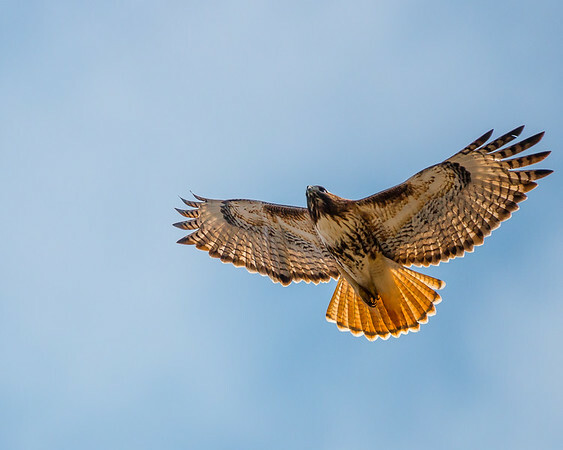 I normally try to avoid backlit birds, but this one had some nice light effects, and I enjoyed the unique pose he had in the air. 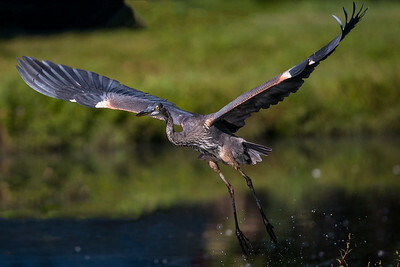 The Great Blue Heron does not fly as often as the great egret, but when they do it is fun to catch them stretching out head to toe. 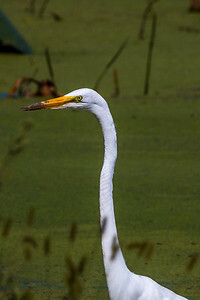 This Great Egret came in relatively close, after digging around in the mud with his beak. 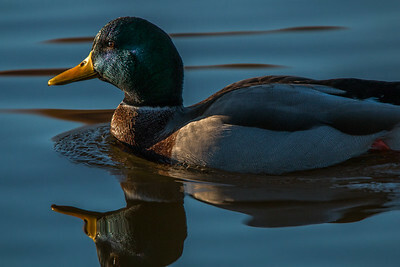 Mallard Duck in the setting sun. Ellis Park, Cedar Rapids, IA. 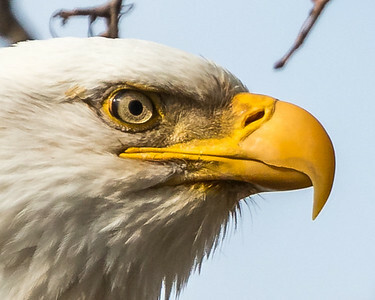 This Bald Eagle sat in the tree, seemingly OK with us taking his photo. 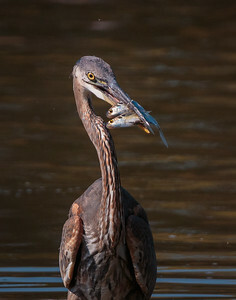 This is more detail than I am used to seeing with most photos. 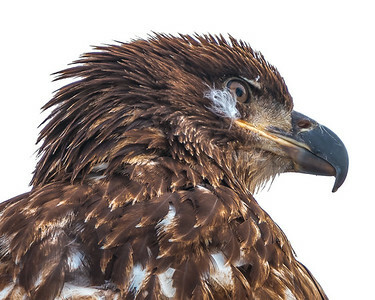 A juvenile Bald Eagle ready for spring. 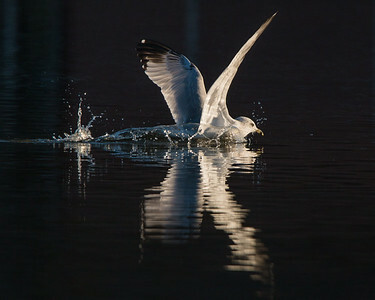 Ring-billed Gull splashdown near sundown. 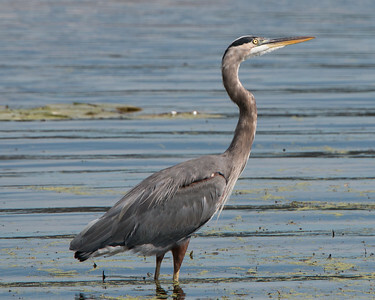 After this picture, now I can see why the Great Blue Heron is incessantly preening. 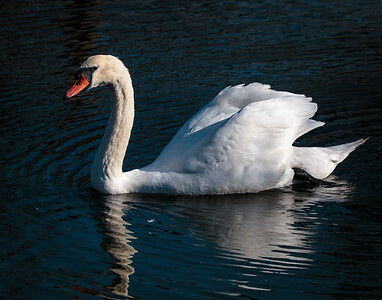 Ellis Park, Cedar Rapids, IA. 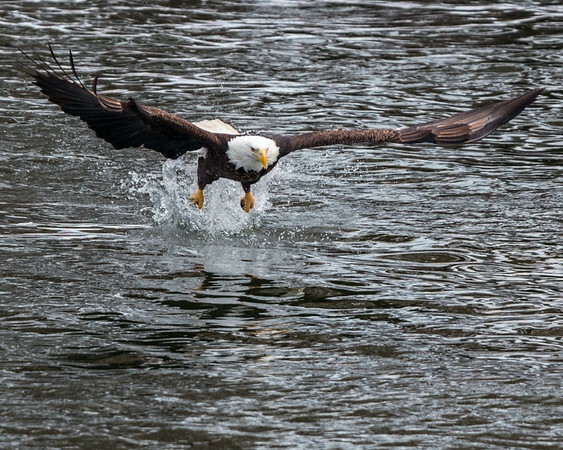 A rare miss, as far as eagle attempts go. 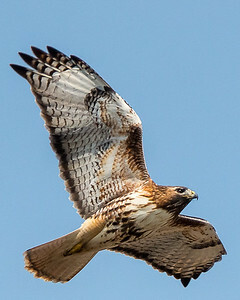 Red-tailed Hawk at Ellis Park, Cedar Rapids, IA. 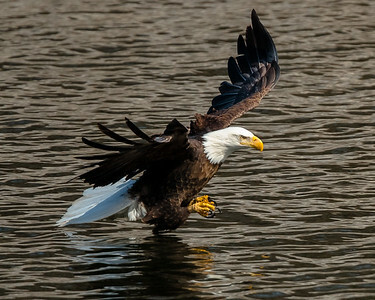 Bald Eagle skimming the water before plunging in.